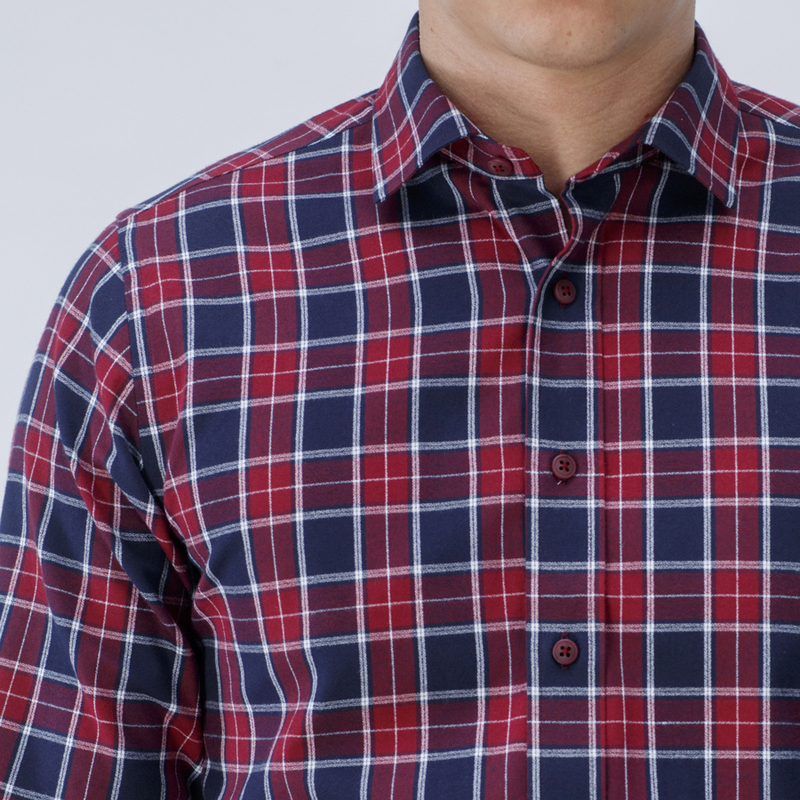 Casual red and blue checked shirt. Wear this soft and comfortable shirt with dark chinos for an effortless trendy look. Order our recommended design or customize it to your preference. Made to your measurements.